The Alpha Beta chapter house is owned and managed by a local house corporation board comprised of alumnae volunteers and three collegiate chapter members. Together, the board members have decades of volunteer service to Alpha Beta; but, their focus is always on the future. Through day to day maintenance to the planning and oversight of large capital projects, the House Corporation strives to continue to make Alpha Beta a wonderful place that remarkable, real, strong womenwant to call home for their undergrad years and beyond. 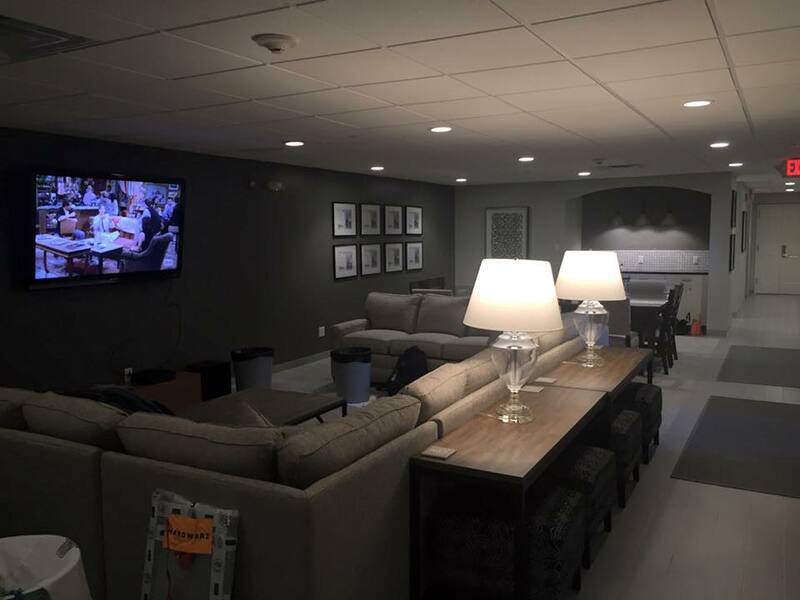 The lower level Activity and Bum Rooms went through a major renovation in Summer 2016 resulting in a new, beautiful space for the chapter women to study or relax. 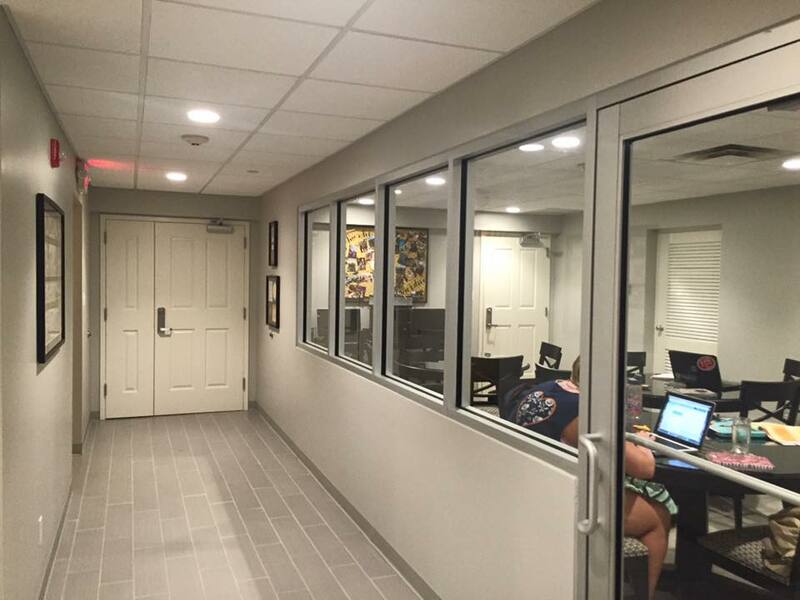 The basement has a cozy Bum Room, a great study space, both male and female guest bathrooms, updated laundry facilities, and a project room. Also in the summer of 2016, the signage in front of the chapter was updated to have the address and words “Alpha Chi Omega” better visible from the road for guests, emergency vehicles and potential new members. The previous Greek letters that once welcomed everyone to the chapter will be repurposed when the back patio is updated during Summer 2018. Plans for Summer 2017 include enlarging and updating the foyer and dining room. The dining room will have a new window with a view of the golf course, redesigned access to the patio as well as a new serving area and kitchenette space. An ADA accessible bathroom will also be added to the first floor. All the chapter’s recent projects are thanks pledges to the Capital Campaign in honor of the Centennial Celebration. Thank you for your donations to the chapter and helping the board bring these projects to life. To learn more about the Centennial Celebration and how to get involved with the Campaign visit the Centennial page. For general questions for the House Corporation board, feel free to contact Bonnie at bonniehockema@gmail.com.